Having had several successul years of experience, we would like to adopt new solutions that gives you the opportunity to speed up procedures and offer assistance with replacement broken equipment. We know that any failure or technical issue can bring your business to a halt and ruin creativity. Our mission is to give support to the most demanding photographers to enable them to focus on providing a service and delivering photographs to their clients. 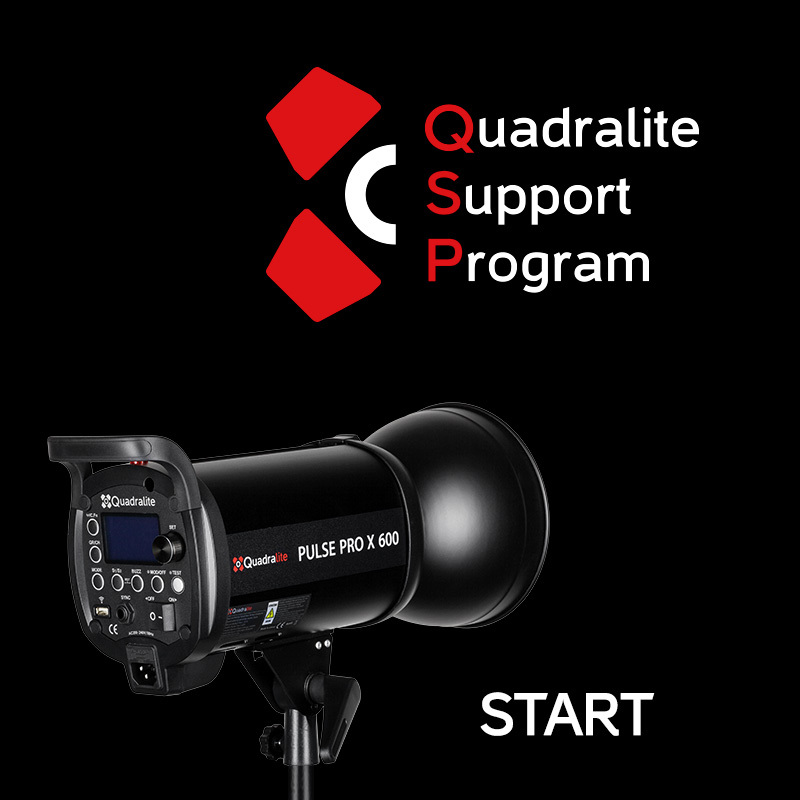 The Quadralite Support Program gives you even more possibilities! Thanks to the QSP service, you will be able to work comfortably and efficiently. Hardware failures will no longer be a problem and become a thing of the past. We guarantee full support and commitment on our side to guide you through the service procedure and keep you informed on the repair status and delivery. So why wait? Buy Quadralite equipment and join the program as soon as possible! To participate, go to www.store.quadralite.eu. and buy the QSP service. Register your product and enjoy the support within the QSP (fill the form below). A starter pack that allows you to join the Quadralite Support Program and the possibility of registering one product. Please read the terms and conditions of the Quadralite Support Program. 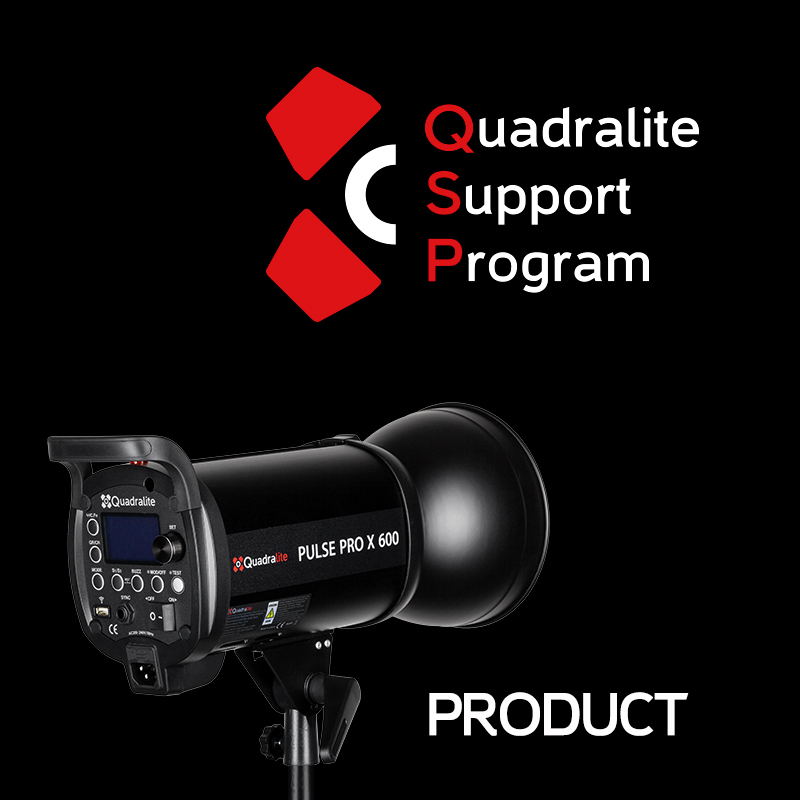 Prior to filling out the form, subscribe to QSP for the selected product Quadralite Store. Select one or several products! I accept the terms of the Quadralite Support Program. Rules. I consent to the processing of personal data in order to send a message. I agree to receive a commercial offer consistent with the content of the message.